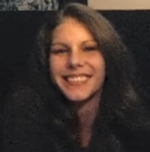 Banner Ads & Text Ads And Even Pays Out Hot Commissions"
Congratulations! You Have Been Granted Free Instant Access To Immediately Get Traffic To Promote Your Offers, Squeeze Pages, Landing Pages, Splash Pages And Add a Spicy Flood of Responsive Subscribers to YOUR List! Use Our Pre-Written Viral Taco Traffic Email Follow up series to put all your referrals on your list automatically and earn even More! $250 In Free Banner Ads & Text Link Ads & Other Ad Goodies! ....In The Next 30 Minutes You'll Be Fully Set Up & Ready To Get Instant Traffic And Get Paid To Give Away Free Advertising With Our 100% FREE Advertising System! 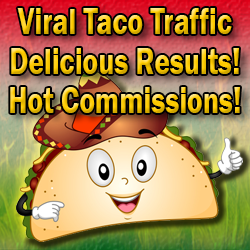 Join, Setup Your Ads, Set Up Your Profile, Set up Your Viral Taco Traffic sales funnel, and Promote! Earn Commissions & Advertising! No Confusing System To Learn ..Simple! Join Now To Claim Your $250 In Free Advertising!